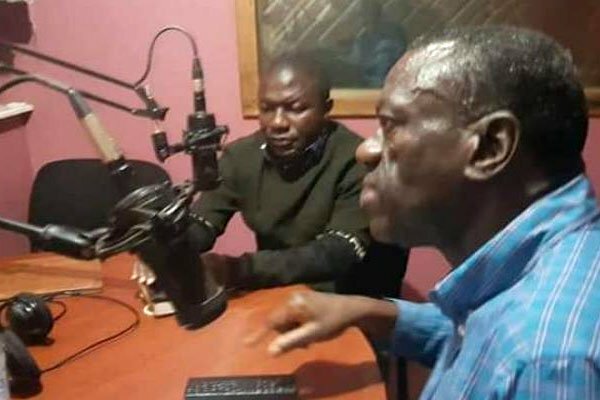 KAMPALA – Security personnel in Kabale municipality on Thursday night, April 4 switched off Hope Radio over hosting Dr Kiiza Besigye, the former Forum for Democratic Change (FDC) president and other party leaders. The others were; Ingrid Turinawe, Patrick Amuriat Oboi, William Nzoghu, the Busongora North MP and Roland Mugume Kaginda, the MP Rukungiri Municipality. The talk show which was expected to last for two hours lasted for only 30 minutes. The group had spent a day in Rubanda District launching the revival of the party’s grass root mobilisation campaign. Mr. Allan Twongyeirwe, the host, said that before the show started, he received a phone call from Mr. Darius Nandiinda, the Kabale Resident District Commissioner ordering him not to host the FDC leaders. He said that Mr. Nandiinda had ordered Uganda People Defense Forces (UPDF) soldiers at 19th Battalion at Kihumuro hill in Kabale, which host radio transmitters and masts in the area, to switch off Hope radio in case it insists on hosting FDC leaders. Dr. Joseph Tindyebwa, the FDC Deputy National Secretary General in Charge of Policy and Research says that the radio was switched off when Besigye was explaining how former Hong Kong Home Affairs minister Patrick Ho Chi-ping was recently handed a three-year sentence in the United States of America after he was found guilty of offering a $500,000 bribe to Foreign Affairs Minister Sam Kutesa and $2 million to Chad’s President Idriss Deby. Dr. Besigye said on Friday that even before the programme started, he was informed by the host that it might be interrupted. “Midway the program, the power went off and the program was interrupted for some time as they switched on the standby generator. We were back on air for another about 10 minutes and the radio shut down. We were subsequently informed that it had been switched off from the mast. I have been informed that a minutes after we left, the radio was switched on again,” he said. However, this is not the first time the incident is happening to the party. In September 2017, Mr Besigye was blocked from entering Voice of Kigezi for a live show on land matters.